SINN Féin’s Arder Carson was last night elected as first Lord Mayor of the new Belfast ‘super council’. 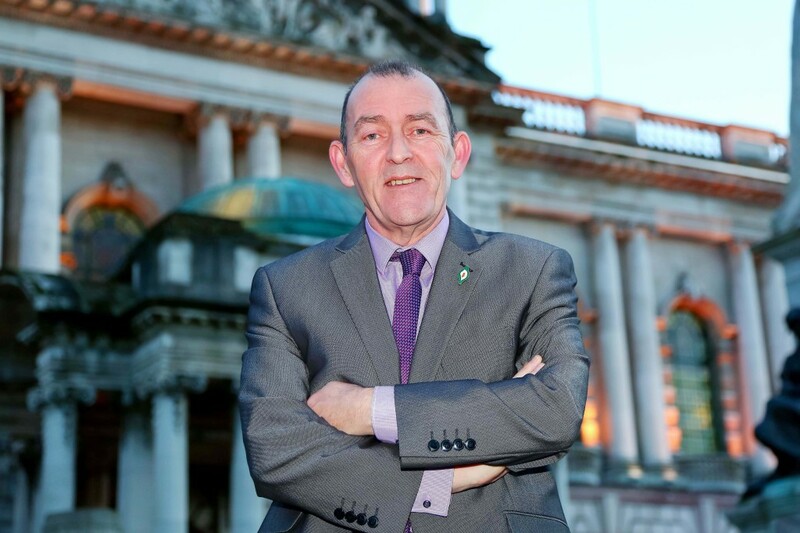 Councillor Carson will take the chair and the chain of First Citizen at the first meeting of the reconfigured Belfast City Council on April 1. The deputy chair of the Council’s influential Strategic Policy and Resources Committee, Cllr Carson has been returned in the Black Mountain electoral ward since May 2014 and represents the Lenadoon, Shaws Road and Suffolk areas of the city. DUP Councillor Guy Spence has been elected as the new Deputy Mayor. Speaking at the AGM of the Shadow Council on Tuesday night Cllr Carson said he was “delighted” to be the first Lord Mayor of the new Council in what he said are “exciting, changing and challenging times”. “This is a new era, new Council, new opportunities, new communities and new powers for the Council, especially in terms of planning,” he said. “We have our new communities from the Colin, Castlereagh and North Down joining Belfast and I want to extend a special welcome to them. The theme for my term is ‘Mayor for Communities’. I selected this particular theme for a number of reasons: my own experience as a youth and community worker for the past 30 years working across West Belfast and my experience as a councillor on Lisburn City Council and Belfast City Council for the past seven. “I will use my term in office to engage with communities in a geographical sense, north, south, east and west and across the cultural, religious, ethnic, business and sporting sections of our society. I want our City Council to be at the heart of Belfast’s diverse communities. Cllr Carson has big shoes to fill. Recent incumbents have made great strides in transforming the image of the Lord Mayor from a remote, ermine-clad figurehead to dynamic booster of the city’s increasingly diverse communities, with outgoing Lord Mayor, the SDLP’s Nichola Mallon, having carried that torch with considerable success. But Cllr Carson has considerable experience of working across community divides. He served for five years on Lisburn City Council, where he rose to become leader of the Sinn Féin group. His performance impressed party strategists and he was co-opted on to Belfast City Council in October 2013, going on to be returned in the local elections of May 2014.